The recent outbreak of violent attacks on the Mambilla Plateau that led to the loss of lives and the displacements of many has stirred up an unprecedented interest from the presidency over the security situation in Taraba State whereas, many observers of the events are quick to ask why the presidency is showing this degree of interest when the same presidency turned deaf ears to previous crisis that took place in the state. According to the former Taraba State Police commissioner, Yunana Babas and also corroborated by a delegation of Mambillas and Fulanis, the immediate cause of the crisis was the untimely arrest of the Wakilin Mambila of Nguroje, a Mambilla man by men of the Nigerian Police over matter involving a Fulani man. The arrest by the police many opined was untimely as Nguroje community was already charged and on security alert following some reported land disputes between the native Mambillas, Kaka farmers and Fulani grazers in Mayo Sina. Impeccable sources informed that men of the Nigerian Police Force stormed the residence of the Wakilin Mambila, popularly known as Umaru CID in the wee hours of Saturday morning, 17th June, precisely at about 4AM in Nguroje town and whisked him away which led to protest by both Fulani and Mambilla youths. The reason for the Fulani youths protest was unknown, but the Mambilla youths protested because their leader was arrested like a common criminal. Regrettably also, when the Chairman of Sardauna Local Government Council, Hon. John B. Yeb went to Nguroje, a community in the local government to calm the protesting youths, an attempt was made on his life. John narrowly escaped but not without bullet shots on his jeep. As soon as the news of the attempt on the Chairman’s life spread to Gembu, headquarters of Sardauna Local Government, the crisis escalated. Mohammed Hassan Bashir, a Muslim and a Fulani man from Nguroje wants justice done but cautioned against misleading both the state and Federal Government towards finding lasting solution to the crisis. He said, “I am Mohammed Hassan Bashir Nguroje; my people are victims of the recent carnage on the Mambilla Plateau. I call for justice, but I want it done according to the rules of Islam and natural justice so as not to mislead the State Government or Federal Government in finding lasting solutions to the crisis in my land and the Mambilla Plateau”. Bashir blamed his Fulani kinsmen for rekindling the fire of the crisis the following Sunday after the situation had been brought under control when they (i.e. Fulanis) killed some Mambilla and Kaka natives which sparked off renewed killings and destruction of properties. “This Saturday tension was controlled, just for the Fulanis to kill some Mambilla and Kaka people at Mayo Sina the following day which was a Sunday and that sparked, catch and spread like a wild fire and now the Fulanis are crying all over the place forgetting that they started this,” Bashir lamented. Recall that only few days after the State Governor, Arc. Darius Dickson Ishaku had set up a Judicial Panel on the Mambilla land disputes; the crisis was sparked up by Umaru CID’s arrest, an action believed to have been orchestrated by some mischief makers in the state. Many observers of events on the Mambilla Plateau believe the crisis was provoked so as to frustrate the activities of the Judicial Panel of Inquiry. The crisis which was avoidable is believed by many to have been remotely caused by the on-going agitations over land ownership on the Mambilla Plateau, where the indigenous Mambillas and Kakas feel aggrieved that the Fulani settlers surreptitiously acquired most of their land while leaving them (the natives) without enough lands for farming. In an exclusive interview, the Wakilin Fulani, Alhaji Saidu Bawa confirmed that the crisis may have been precipitated by the arrest of Umaru CID, but that it was just the trigger. Bawa said the main cause of the crisis was land ownership where some people are not comfortable with the ownership pattern alleging that the grazers occupy more land than the farmers. Alhaji Saidu Bawa’s submission was also reaffirmed by Senator Walid Jibrin while on a fact finding mission to the Taraba State. Explaining to Governor Ishaku the purpose of his visit to the state, Senator Walid Jibrin said after listening to reports from various sources especially from Fulani leadership on Mambilla Plateau, the widely publicized submission of the acting GOC 3 Armoured Division as well as media reports on the alleged mass killings of Fulani herdsmen which was sensationally described by some media organization as genocide, some concerned Fulani leaders and reputable organizations met, analysed the situation and decided to send a powerful delegation to the governor. Senator Jibrin said, “After receiving and listening to some reports from various sources especially from Fulani leadership on Mambila, the widely publicized submission of the GOC 3 Armoured Division…the Media on the Mass killings of Fulani Herdsmen and destruction of properties described as genocide in Mambilla Plateau Taraba State, some concerned Fulani leaders and reputable Fulani organizations met and analysed the situation and decided to send a powerful delegation to the Governor of Taraba State to hear his side of the story of the unfortunate happenings and find out what the government has done so far to curtail the situation. The committee is also met with the security agencies to assess the security provided on the Mambilla Plateau,” Jibrin said. The 10-Man committee set up by the concerned Fulani leaders is headed by Senator Walid Jibrin who is also the patron of Miyetti Allah Cattle Breeders’ Association of Nigeria (MACBAN). Walid’s committee is expected to submit its report of findings to the organization that sent them to Taraba. Sources however close to Senator Jibrin said he was disappointed with the reports they received in the first place which informed the setting up of his committee. Shortly before boarding the plane to return to Abuja, Jirbin said the reports they received were out-rightly exaggerated beyond proportion. While the Mambilla Fulani leadership reported that thousands of Fulanis were killed, Jibrin discovered that casualty was of equal proportion on the side of the Fulanis and the Mambillas and Kaka natives. Jibrin also discovered that the crisis was devoid of religious, ethnic and political colorations but purely a land dispute. The patron of the Miyetti Allah Cattle Breeders’ Association having heard from Governor Darius Ishaku, the Mambilla and Kaka natives as well as from his Fulani kinsmen on the Mambilla Plateau returned with a different notion contrary to what he came into the state with. Again, sources disclose that Senator Jibrin had to put a call to Governor Ishaku to sincerely appreciate him for handling the crisis with maturity and impartiality. Ambassador Emmanuel Njiwa, a Mambilla elder explained that the land ownership pattern was responsible for the unrest. At a stakeholders’ meeting earlier convened by Governor Ishaku, Njiwa alleged that the Fulani took over most of the land through the “grazing permits they were given to help the then authorities identify grazers for the purposes of tax collection”. Njiwa said over the years, the grazers however turned the grazing permits into certificates of occupancy, thus acquiring vast lands without due process. According to police figures, 18 persons were killed in the crisis and several houses destroyed in the attacks which started at Ngoruje and latter spilled over to Mbamga and Gembu. But Fulani sources from the area put the figure much higher. A statement issued by Fulani elders claimed that over one hundred of their persons were killed and over two hundred unaccounted for. A visit to the communities showed the evidence of wanton destruction of property in places like Mayo Sina of Nguroje Development Area, but eye witness account corroborated the figure of deaths released by the police to be actually 18 persons. Independent investigations revealed that Fulanis have the highest concentration of non-nomadic settlers on the Mambilla Plateau, but the two tribes have a history. Their last crisis was in 2001/2002 over the same land ownership. Regrettably, after the 2001/2002 crisis, past administrations in the state failed to take concrete measures that would have proffered permanent solutions to the land disputes on the Mambilla Plateau. For 16 years, the Mambillas and the Fulani grazers have continuously lived in acrimony without solution to the land disputes until recently when the state governor, Arc Darius Ishaku mustered the courage to constitute a panel to look into the land agitations in the area with a view to finding lasting solutions, but this wise decision of the governor was visited with induced violence that claimed many lives. It is a general consensus in the state that the recent violence that erupted on the Mambilla Plateau was provoked as a smokescreen to heat-up the polity as well as to frustrate the on-going debate in the state on the proposed anti-grazing executive Bill before the State Assembly. It will be recalled that four weeks ago, some rented crowds besieged the Taraba State Assembly protesting the passage of the Bill. While the loss of lives and property on the treasured Mambilla Plateau is most regrettable, the political intrigues following the crisis is equally interesting. Within the last six months, there have been violent attacks in communities in Taraba State where lives and property were lost. Violent attacks by Fulani herdsmen on communities in Lau, Ussa, Takum, Bali, Donga local governments and other areas of the state left trails of blood, tears, sorrow and deep anguish, but received no attention whatsoever from the Federal Government. According to the natives, in Takum, the military authorities were accused of indifference to the carnage, leading to the death of over a hundred persons. Apart from stories on the pages of newspapers, the carnages went completely unattended to by the Federal Government. However, in the case of the crisis in Gembu, there was immediate deployment of military authorities to the area, a development that was able to restore normalcy within a relatively good time. The crisis also attracted an unprecedented reaction from the presidency with the deployment of a high powered delegation on a fact finding mission led by the Minister of Interior, Abdulrahman Danbazau and other security chiefs. The presidency has also ordered the National Emergency Management Agency, NEMA, to quickly assess the situation and deliver relief materials to the victims as soon as possible, even while victims of similar attacks elsewhere in the state have not received any relief materials from NEMA after several months since they were displaced. Not less than 12 trailer loads of relief materials have since been delivered to Gembu, the headquarters of Sardauna Local Government for distribution especially amongst the Fulanis. Mohammed Bashir further lambasted the leaders of his Fulani kinsmen and accused them of dragging the dignity of the Fulbe man and nation to ignominy in claiming that up to 4000 Fulanis have been displaced and rendered as IDPs. Bashir said, “What I want the world to know is WHERE IS THE PULAKU OF THE FULANIS IN NGUROJE? The Fulani man who is well known of pride and shyness, who doesn’t let anyone see his wife or let you into his house has all of a sudden lost that or better still has given it to the dogs for the sake of igniting more hate, or is it to attract political sympathy? Or is it really for the cups of rice that is been shared that the Fulanis in Nguroje now bring out their grandmothers, mothers, wives to collect rice and other items from SEMA or NEMA or to recruit all our mothers, wives or daughters to come out and pretend to be internally displaced persons so as to attract relief materials anytime a VIP visits the area by falsifying figures to the tune of 4000 IDPs? Commenting further, Bashir lamented saying, “Come to think of it? What is the total population of the Fulanis on the Mambilla Plateau that some greedy idiots are busy claiming thousands in IDPs all over the place and using it to enrich themselves? “Nguroje is where the (some greedy Fulanis) started this mess, which some of their innocent brothers, innocent Mambillas and a handful of Kakas paid the price for their greed in other areas and not them that are in Nguroje. Here we are bringing out women and children from peaceful homes claiming over four thousand person are displaced? Displaced from where? After telling the whole world that genocide took place on the plateau so where did the four thousand come from; Heaven or where?” the visibly angry Bashir queried. Critics have accused President Muhammadu Buhari’s led Federal Government and its agencies of clear nepotism in its response to similar crises that erupted in other parts of the country where relief materials were either not sent to the victims of Fulani attack or were sent only after series of mounted pressures adding that the rapid response in the case of the Mambilla Plateau is because Fulanis are affected, a clear case of nepotism. Emmanuel Gundu Dantani, a public affairs analyst questions the motive for the rapid response by the Federal Government on the recent Mambilla Plateau crisis which appears to have affected the Fulanis whereas, the same government chose to turn deaf ears when Fulani herdsmen ravaged Benue, Anambra, Enugu, Southern Kaduna and other areas in the country. “It is unfortunate that we are witnessing flagrant display of nepotism in the handling of crises in the nation. It is an open secret that Fulani herdsmen have made life unbearable for Nigerians, especially killing farmers, maiming and destroying innocent Nigerians’ properties. While all these were happening, the Federal Government turned deaf ears and looked the other way against all hues and cries when Fulani herdsmen ravaged Benue, Anambra, Enugu, Southern Kaduna and other areas in the country. Surprisingly, even when Governor Darius Ishaku raised genuine alarm two months ago that Boko Haram was regrouping in the state, the Federal Government ignored the call. No happening can be more bizarre than this,” declared Dantani. Another dimension to the massive degree of interest shown on the Mambilla Plateau crisis by the presidency and some money bags is the fact that most of the Fulani herdsmen who hitherto were granted permits to graze on farm lands originally belonging to the native Mambillas and a few Kakas no longer have cows. With the diminution of their cows, these Fulani herdsmen have since sold the lands which they were given permits to graze on to very influential Nigerians and money bags. These influential Nigerians and money bags have since fenced the lands and are the ones creating these undue hues and cries and also alleging genocide against the Fulani herdsmen so as to protect their huge investment. 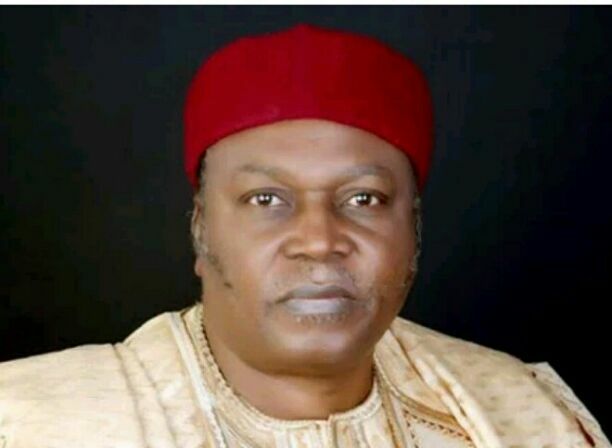 It is clear that their fear is that should the Judicial Panel of Inquiry into the legitimate ownership of land on the Mambilla Plateau be allowed to complete its assignment and submit its report to Governor Darius Ishaku, they are likely going to lose ‘their land’ which they acquired without due process. “I am angry because I am from Nguroje, I am a Fulani man. 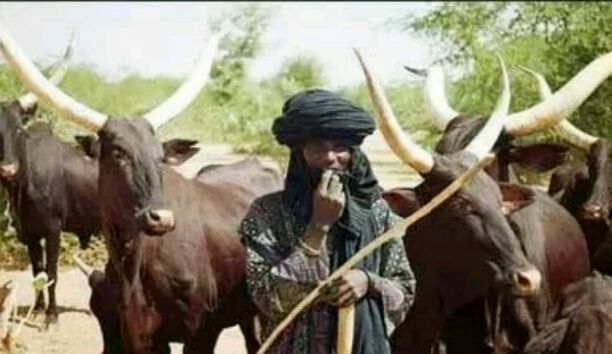 The Federal Government and the State government have taken over our case, let us hope that Justice will be done, but let us stop embarrassing ourselves and our traditions as Fulbes because our cows are finished and we now need to use the crisis to replace our wealth,” Bashir bemoaned. Earlier, in what appears like political grandstanding, the minister of Women Affairs and Social Development, Senator Aisha Alhassan who contested and lost to Governor Darius Ishaku was in the state purportedly to commiserate with the people of the area. Rather than restrict her comments to the unfortunate crisis, Aisha decided to play politics with a serious matter like the Mambilla Plateau crisis and called for the impeachment of Governor Darius Ishaku, as according to her, “for his inability to stop the crisis before it happened and his indifference to the killings”. Senator Aisha who spoke like a Fulani-ethnic champion rather than as a nationalist further accused the state government of not showing enough interest in the killings of her kinsmen on the Mambilla Plateau. But the state government quickly cautioned her to stop playing cheap politics with the lives of the people. The Senior Special Assistant on Public Affairs to Governor Ishaku, Hon. Emmanuel Bello while reacting to the allegations that the governor was not concerned with the killings said the governor had worked hard to resolve the issues on the Mambilla Plateau before the crisis broke out. Bello stressed that while the governor was still away in Germany, he did set up a Judicial Panel of Inquiry which was inaugurated by his deputy, Engr. Haruna Manu. The panel’s major responsibility is to look into land matters on the plateau with the view to finding lasting solutions to the crisis. He said the governor has also set up a Peace and Reconciliation committee in the wake of the crisis after holding stakeholders’ meeting with all the tribes on the plateau and had also sent relief materials to the victims, as he continues to monitor the situation closely through the traditional institutions in the area in addition to the recent visit of his deputy to the area. While the Fulanis are accusing the Mambilla people and the state government of conspiracy to forcefully take over ‘their lands’, the Mambilla people are also accusing the Fulanis of fraudulently taking over their lands and leaving them without any portion to farm. The Mambilla and Kaka people feel that past administrations in the state did not show enough political will to expedite actions to correct what they call decades of denying them access to their farmlands, an anomaly, which is the major reason for the crisis on the plateau. Investigations further revealed that previous administrations in the state gave the Fulani herdsmen permits to graze on the land which the Mambilla natives claim was originally theirs, as historical records proof that the Mambillas have been on the plateau for over five millennia before the arrival of Fulanis. Public affairs analysts posit that the grazing permits issued the Fulani herdsmen to graze by previous administrations do not and cannot translate into certificates of occupancies for the grazers. The permits were issued only for the purposes of collecting taxes from the herdsmen. They also submit that the permits are actually renewable and that the Fulanis should not use same to claim ownership of the lands released to them for grazing. Some political observers however are of the opinion that the communal clashes have been hijacked by some persons in a grand scheme to wrestle the state from Governor Ishaku and the PDP. For such people, the unprecedented reactions to the crisis is a ploy by the ruling All Progressives Congress, APC to take over the state in 2019, or before. According to Yakubu Iliyasu, an elder statesman, the “communal clash between the Mambilla and the Fulani is not different from any other crisis that has bedeviled the state especially in the last six months, except that some people are now using this to play politics either ahead of 2019, or to oust Governor Ishaku even before then. That is why they are quick to call for a state of emergency and impeachment of the governor as if he was the one who started the crisis”. Iliyasu lamented that the lives of people are now used by “shameless persons who claim to have the interest of the people at heart” to play politics. There is no doubt of an overplay of interest in the crisis on the Mambilla Plateau and the governor raised this question when the Minister of Interior paid him a courtesy call while on a fact finding mission in the state over the crisis. The governor wondered why his previous alarm about the regrouping of Boko Haram insurgents in the state and other crises did not received the desired attention from the Federal Government but there are many hue and cries over the crisis on the Mambilla Plateau. Many Nigerians are asking why the Federal Government has shown this disagree of interest on the Mambilla Plateau crisis whereas thousands of lives of other Nigerians were lost and this interest was not shown. Critics believe this degree of interest shown by the Federal Government is because the lives of certain “special race or group” of Nigerians who are perceived to be of more value than others have been touched. The Fulani “special race” is treated as top priority while other races are considered as dispensable and so do not deserve the urgent attention of the Federal Government. In addition to the Judicial Panel of Inquiry set up by the state government, a Peace and Reconciliation committee is also working hard to provide lasting solution to the land agitation on the Mambilla Plateau, but the politicization of the crisis as it stands now is capable of frustrating these efforts by the state government as well as to incite more crisis. Regrettably, when the Peace and Reconciliation committee visited the area and was holding a meeting with stakeholders with a view of preaching peace, the leadership of Miyetti Allah Cattle Breeders’ Association staged a walk-out on the committee. As the situation stands, human lives are at stake, but political interests and ethnic chauvinism must be set aside to allow permanent peace a chance to rein on the treasured Mambilla Plateau. Further to this, the burning issue on the Mambilla Plateau is the redistribution of lands that must be quickly resolved for lasting peace to be restored.